Discover some of the history of the towns and villages of Milton Keynes and its surrounding area. 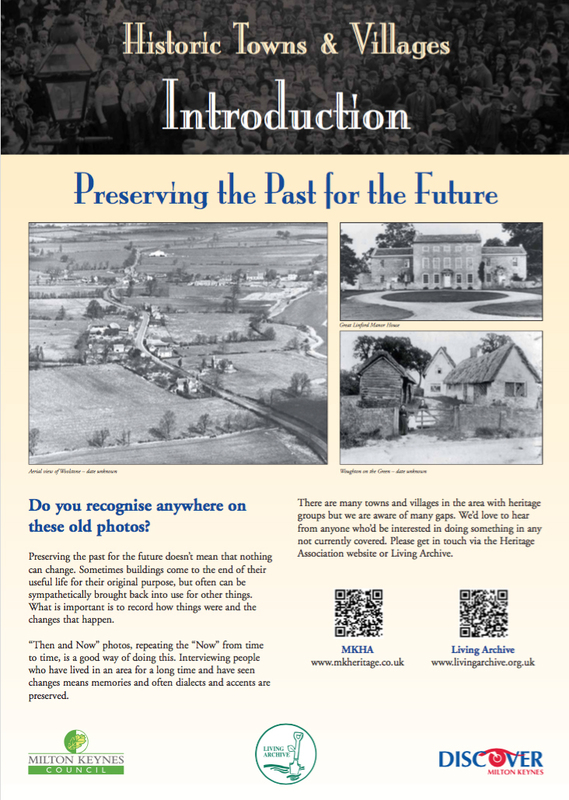 The exhibition panels feature images and information from the archives of some of the 60 member organisations of the Milton Keynes Heritage Association. Click on the image to see larger version of the exhibition panels.